Malcolm Preston is participating in the 2017 Dream Mountains Kilimanjaro climb, in support of Ride for Dad. Hello all. 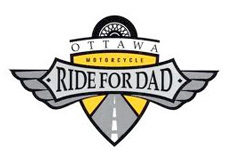 The Ride for Dad is a fund raising initiative in which the mission is to save lives by raising public awareness of the disease while supporting prostate cancer research. Over the past years, I’ve had three best friends who were touched by prostate cancer; one who struggled to the end and lost the fight. The two others, persevered through thick and thin, struggled through fear and adversity and were successful in conquering their battles. Theirs is a powerful reminder of the need to never let go. This coming spring, I embark on a fascinating journey and consider myself privileged enough to join an amazing group of people with whom we all have a common goal. We will be ascending Mount Kilimanjaro and raising money for 7 incredibily amazing charities. 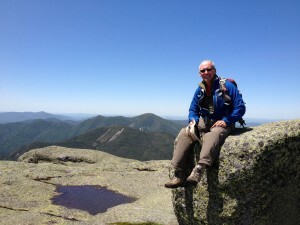 I am a lover of life and an avid hiker whose activities include hiking (especially above tree-line!) cycling, skiing and snowshoeing. Kilimanjaro is one of the highest seven summits on this planet for which there is one highest summit on each continent. Notably, Kili is the world’s highest free-standing mountain and interestingly, it is also one of the world’s highest seven volcanic summits (Africa). The most recent volcanic activity on Kili has been calculated to have occurred about 200 years ago. Standing atop the world’s tallest freestanding mountain/volcano must be such an exhilarating experience. I am there. Kili awaits me. We are there. Kili awaits our whole Team. For me, participating in this adventure, together with the Dream Mountains 2017 Team signifies new meanings to the terms “Awesome” and “Simply Spectacular”. This journey is absolutely the best of all worlds. Please support me in this adventure. Please pledge me and help me reach my fundraising goal which is to raise $5000 for, Ride for Dad. I really need and can use your help. Every donation matters and will make such a difference in someone else’s life! Each dollar you donate is eligible for a tax receipt as this charity is registered with the Canada Revenue Agency (CRA). Fundraising donations do NOT contribute in any way to the climber as each climber is responsible for the totality of his/her expenses for this great adventure. 100% of the funds goes directly to, Ride for Dad. Thank you, with great appreciation to everyone for supporting me on this magnificent journey with the 2017 Kilimanjaro Dream Team. Tremendous thanks to Kevin Preston for introducing me to the Team and also especially so to Shawn Dawson, for bringing me in and allowing me to participate in the Dream Mountains Program. It will be my trip of a lifetime, never to be forgotten.